Following a stunning reissue of Dawn of the Dead, Waxwork Records is diving back into the world of Goblin. 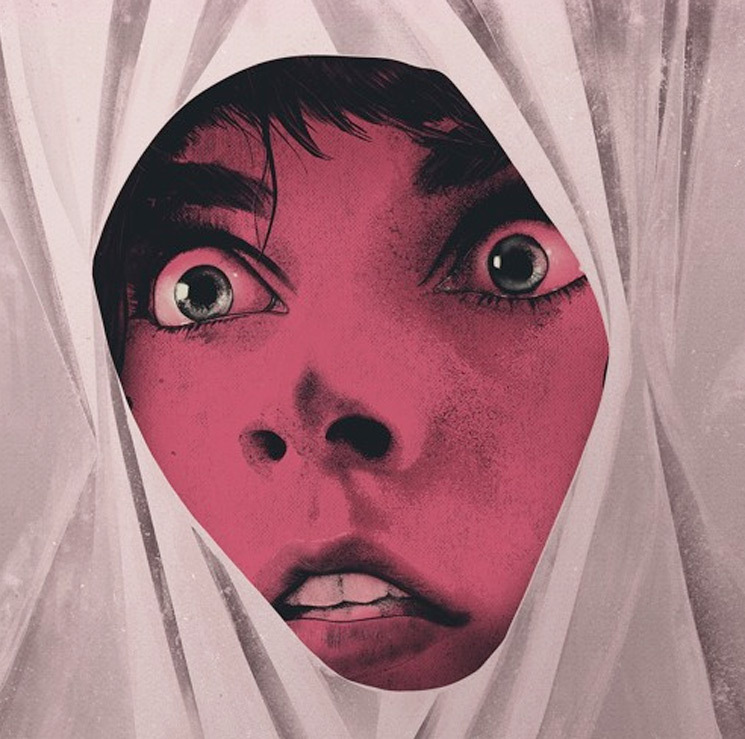 This time, though, it will be for an expanded soundtrack release to Dario Argento's 1982 cult classic Tenebrae. Actually billed as Simonetti / Pignatelli / Morante rather than Goblin proper, the Tenebrae soundtrack marks a highpoint in the Goblin canon, with band members Claudio Simonetti, Fabio Pignatelli and Massimo Morante creating one of the group's most memorable and downright hooky works. For Waxwork's vinyl reissue, it will now be expanded into a sprawling 2-LP set that's being totted as the complete and "definitive" version. Following a bunch of teasing, the release arrived today, and you can pre-order it over here. It's expected to ship in April. Among all the extra bells and whistles are a series of bonus tracks not included on the original Cinevox release (though added later on various CD editions). Right now, you can hear a trio of those added tracks at the bottom of the page. The vinyl itself will come as 180-gram wax, with the original soundtrack being fully remastered. Disc 1 will be on "Blood Red" vinyl, while Disc 2 comes on "Straight Razor Silver" vinyl. As you can see above, the package also comes with newly imagined art via Nikita Kaun in a die-cut gatefold jacket. You can see some more product shots below. Extensive usage of early analog Roland, Oberheim, and Moog synthesizers and drum machines paired with electric bass, acoustic drums and s piano were utilized by the wildly talented progressive rock trio to form a sonic template unlike anything offered before it. The soundtrack has gone on to garner a wave of popularity by being re-released and remixed many times over. Of course, perhaps the most famous sampling of the Tenebrae soundtrack came via Justice and their hit track "Phantom." You can see more images of the Tenebrae release over here at Waxwork, where you can also place a pre-order.